Pass again from the heavenly realm and plunge into the ocean of Consciousness. 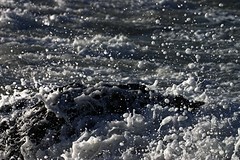 Let the drop of water that is you become a hundred mighty seas. -- Jelaluddin Rumi, "A Garden Beyond Paradise"